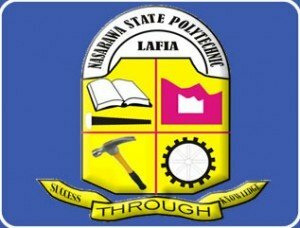 This is to inform the general public that Nasarawa State Polytechnic, Lafia has commenced the sales of Application forms for admission into PART- TIME NATIONAL DIPLOMA of the Consultancy Services Unit of the Polytechnic for 2018/2019 Academic Session. The PART-TIME NATIONAL DIPLOMA Programme is aimed at providing opportunity for working and non-working Class who are desirous of obtaining National Diploma Certificates without obstructing their normal activities. By this development, the Consultancy Services now runs three programmes namely: PRE-HIGHER NATIONAL DIPLOMA (PRE-HND), DIPLOMA programmes and NATIONAL DIPLOMA (PART-TIME) Programmes in various courses. The NATIONAL DIPLOMA (PART-TIME) and DIPLOMA Programmes are designed for two years, covering Four Semesters while PRE-HIGHER NATIONAL DIPLOMA (PRE-HND) covers Two Semesters only in all the courses offered in the Polytechnic. Application forms can be obtained on payment of non-refundable fee of N3,000 for DIPLOMA and NATIONAL DIPLOMA (PART-TIME) and N4,000 for PRE-HIGHER NATIONAL DIPLOMA(PRE-HND) at the office of the Director, Consultancy Services Unit, Nasarawa State Polytechnic, Lafia . The completed form is to be returned to the office of the Director, Consultancy Services Unit, Nasarawa State Polytechnic, Lafia on or before 30th of April, 2018.